8 Mainspacing my Great Fairy articles. 9 My apologies about AST and BSLoZ. 10 Why you did remove the changes in the article Hyrule Warriors and protect it? 28 Isn't Link's Crossbow Training a Non-Canon Game? 30 How long until protection is lifted? 33 Maybe you can help me with this. 2 of the 3 "wanted pages" I made got deleted. One of them being Lorulean Knights, wich was understandably merged with Lorule Soldiers... but you cut out everything I wrote on that page. Could you at least preserve the information I spent time to put on that page when you merged it? It wasn't arbitrary stuff. And the Ghost Soldiers page didn't need to be deleted. I think that the ghost variant of soldiers that appear in Twilight Princess (wich are the same as the Hyrule Warriors ones as they are both ghosts of deceased Hyrule Soldiers) was a needed page. I spent hours and effort making those pages, and within seconds and no effort you deleted them. I can understand you deleting my stuff if it was vandalism (which it most definitely was not), if it was inaccurate (all the things I posted were accurate to their respective games, look at them again if you don't believe me). But my work was legit. The only reason I see you deleted my stuff is because you felt it was all arbitrary but I have to disagree, I feel alot of people would find my info useful and I helped the Zelda Wiki Comunity out by making "wanted pages". I'd appreciate if you could restore some of my hard work so I don't have to feel like I wasted 5 hours of my life staying up late and trying to be a helpful community member. I understand you had to merge Lorule Knights and Soldiers, but at least keep most of my original article present in that merge. First of all, please do not comment back on my talk page archive. That's supposed to be an archive for old talk page messages. Please respond back on this page. I understand that you're disheartened by the changes. But also keep in mind that this wiki strives for quality work. What I merely did with those edits was to rework them to be more up to date with the wiki's quality standards and kept what would be useful for the wiki. I admit that some edits and pages were removed, but only because they were deemed unnecessary for the wiki. But most of your edits are still technically there, they were not removed. Merely they were updated. If I wanted to actually remove entire changes, I would have undid the edits. [Your message] ".... Great Britain is part of Europe. And I've heard no word of it coming out in America too?" I have been discussing it with a few friends lately who're usually always up-to-date with stuff like this. It hasn't been announced yet, but from what we know, it's very likely to happen. I'll be looking for further information to see what I can find. I'll be sure to let you know if we find out anything else. Based on your post on Ixbran's page, I'm not sure we communicated what actually happened correctly. An edit war occurred between me and these other editors (with me ceasing to edit to avoid exacerbating the edit war any further on my part). The other editors provided a source demonstrating that the source Ixbran had used was unreliable. Mainspacing my Great Fairy articles. I apologize, but splitting the Great Fairy page is just not going to happen. Nobody agreed that the page should be split, and even then it is incredibly unnecessary to do so. Unlike the Skull Kid character from MM, the Great Fairies are not as notable as individuals, and to split them would mean a lot of needless pages that would force our readers to flip through more pages just to find one thing. It gets in the way of reader-friendliness and accessibility, which is also why people have been opposed to splitting Skull Kid. (More people are likely to search for "Skull Kid", not "Skull Kid (Character)".) With the exception of a very few, nearly all of the Great Fairies are just called that. "Great Fairy". I'm again sorry, but splitting the page is not going happen. Well for starters, I can tell you that Majora's Mask (Object) is also not going to be split, as we barely know anything about the entity itself as the game never fully elaborated on it. I already mentioned this on the forums. And again it also falls under the issue of reader-friendliness and accessibility. To have two separate pages on them would make things harder for users to find. Most people looking for Skull Kid the character would just type in "Skull Kid" into the search box. Their first instinct would not be to type in "Skull Kid (Character)", especially if they don't know a page had been split. My apologies about AST and BSLoZ. Why you did remove the changes in the article Hyrule Warriors and protect it? 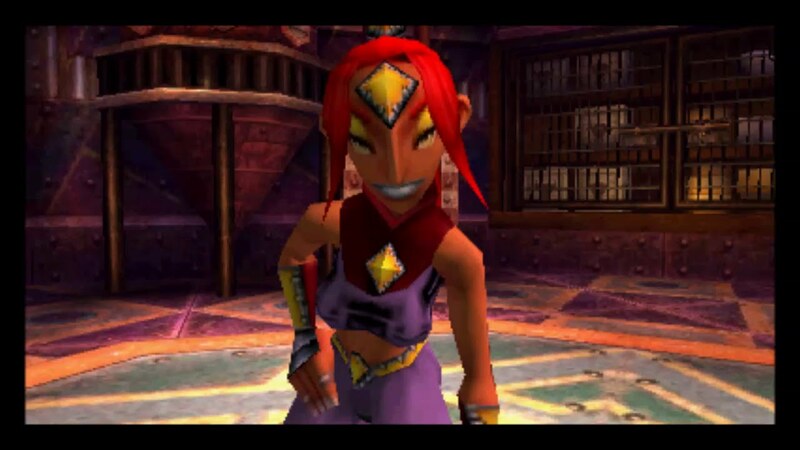 Hello The Goron Moron, why you did remove so much official information in the article Hyrule Warriors? And why you have protect the article so sternly now? The information about the 3DS port with the Japanese title (ゼルダ無双 ハイラルオールスターズ) Zelda Musō: Hyrule All-Stars, is official announced by Koei Tecmo their selves. Times are changing, and we have to keep that. You even removed my changing from Enemy Characters to Villain Characters. I played the game by myself, and I still have it. The issue between ally- and enemy characters in the game is a is a case that depends from the side that you played on that moment in the game, the same is by the units. By the good characters / units does word hero adjusts the best, the same is does by the word villain for the bad characters / units. Because of policy. This is to respect Nintendo and Koei Tecmo. The game was not officially revealed yet, but was accidentally leaked. The pages will be restored when the game is officially unveiled as intended. These things technically should not have been on the wiki this early. Just to be sure before publishing my edit (since it is a theory of some sort followed by some evidence), can the Sorceress of Light enhance her sorcery? An example would be in the cutscene after the battle of the tree monster in Valley of Seers. When Cia disrupted space and time, Lana gathered her troops and tossed her Tome within the air, followed by a spell (the shield barrier) which looks beyond her normal attacks? Though I am positive you are occupied with keeping the wiki up to date due to the Nintendo Direct: 11.12.15, I have a small request for you to include a new reference on the Zelda Wii U page. The reference is the video about the 11.12 direct and can you add the reference to necessary things on the Zelda Wii U page. Thank you for your cooperation. Linkle is currently the only HWL character with that file name style. I changed her file names to fit the format of the other characters. I figured it would be easier to do than just go in and re-name everyone else. If your instant to have this naming style, you should also go in and do this for the other characters as well. Otherwise that just means the characters will have file name inconsistencies, hence why I changed Linkles in the first place, so they would have consistency. Look, I know you are not going to be in love with my following question. You're reaction will be, "Really? I work the wiki, not your personal helper!" but I need advice on how to capture a fairy in a bottle in Wind Waker HD. I have to heal Link's grandma but I don't have a fairy in an empty bottle. How do you catch one? When I try to, they float around me and heal me; I try this multiple times and it does not work. Please help. Isn't Link's Crossbow Training a Non-Canon Game? How long until protection is lifted? Since you are the one who has raised the protection level for this page, could you lift it or allow a select few users to edit it? If not, then could you fullfill an edit request in my behalf? Collect all 4 Beedle's Membership Cards. Collect all 3 Beedle's Membership Cards and become a VIP member. The reason why it was removed was already stated in the edit comment; it was deemed unnecessary due to how Focus Spirit produces the same effect for every character. This is different compared to the Special Attacks, which have different target ranges, and occasionally Elemental Effects, per Weapon. But with Focus Spirit, the effect is identical for every character. A listing for descriptions was simply not necessary. It was also something that was brought up with the staff team beforehand, and it was agreed upon. It's possible that the table in the Special Attack page will also be removed. The Focus Spirit and Special Attack descriptions are still on the Weapon pages/sections, and they're fine enough there. Please also note that all contributions to Zelda Wiki are considered to be released under the GNU Free Documentation License (see Zelda Wiki:Copyrights for details). If you do not want your writing to be edited mercilessly and redistributed at will by anyone, then do not submit it here. There are some inaccuracies on the Nintendo Switch page. I was going edit them but I realized you protected the page from editing up until April 17 of the next year! I think that's a bit exaggerated. Anyway, first off, the Switch is NOT the successor to the Wii U (being a hybrid, it is a standalone console, the first of its kind) and second, the codename for the console was just NX, in no way Nintendo ever called it "Nintendo NX". This is just to address some issues. The Nintendo Switch page was protected to safe-guard it from rumors back when the console was yet to be announced. The page has only been protected so that autoconfirmed users may be able to edit it; if you're not able to edit it, then it means you're not autoconfirmed yet. Considering that there are still many more rumors about the Switch even after its announcement, I believe it would be wise to keep its protection still. The too many edits notification is unfortunately the result of a bug in a wiki. The notice is normally only supposed to appear to users who have edited multiple times within a very short time, but now it seems to appear on pages that the user has edited multiple times throughout in general. Normally pressing Save Page a second time would bypass the notice and save the edit, but here you're stuck in an infinite loop. I'm afraid that until this bug is fixed, which it hasn't been for awhile now, you won't be able to do anything. I suppose I could. The links go to game projects I'm working on, but I suppose for the time being, I can neglect them for now. Too tired to work on that right now, so I'll see what I can do about that in the morning. I am interested as to the reasoning behind the editorial changes made re: the 'cooking pot' page. I assume that they were made according to the current style conventions of the Wiki, but I still feel the need to question their application. Firstly, why would one want to combine sections pertaining to things as disparate as 'location' and 'uses'? Secondly, why would one want to consolidate a section about '(visual) appearance' into the section 'location and uses'? On the page in question, there is now a large, inelegant section called 'location and uses' detailing the appearance and use of the object i.e. the heading and section content do not match up. What's more, a separate section headed 'locations' has been left: surely it would have made more sense to combine this with the passage on usage and left a separate section for 'appearance', as then you would at least have a section that actually talks about 'location and use'? Instead, now there are two separate headers that mention location... Again, I recognise these are all likely due to the style conventions of the Wiki, but in particular situations such as this, it does not seem to improve the page but rather make it more confusing.